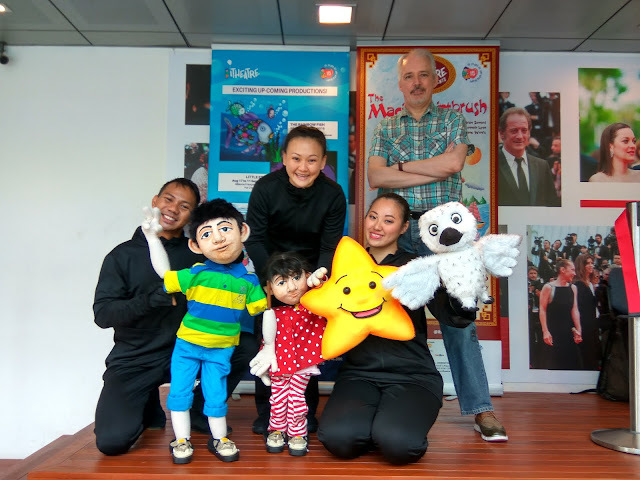 Home / FEATURES / I Theatre / theatre / Twinkle Twinkle: A Review of I Theatre's "Little Star"
The little star shone brightly in the living room of Cosmo and Celeste; a dazzling display of brilliance and enchantment. Lost in the midst of their squabbles, the brother and sister pair realise that there are better things to do than to fight - they need to help the little lost star find its way home! And so it's off on a grand adventure. Is the star's home beneath the deepest depths of the sea? Is it beyond the furthest reaches of the galaxy? Or is home really where the heart is? Little Star, Little Star, how can we help you find your home? 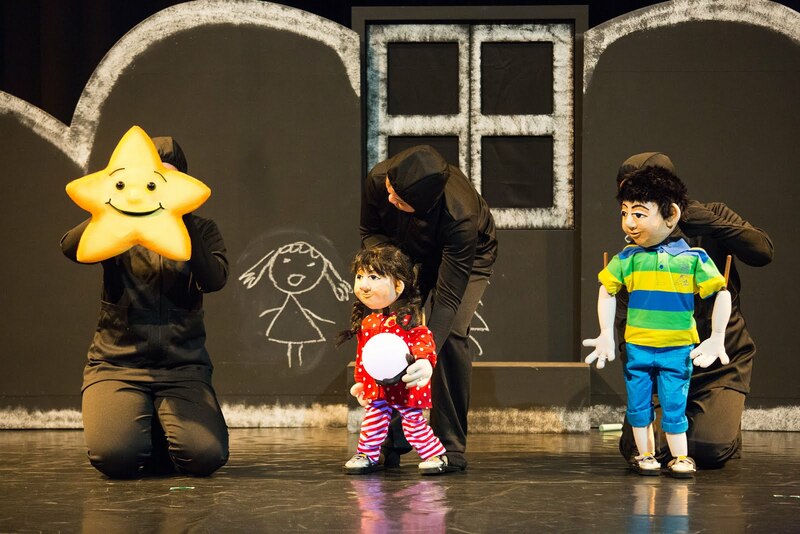 Little Star is I Theatre's second production intended for younger audiences between the ages of 2-6. The first performance, Round the Moon, Blue the Sky, was a regional collaboration with Asian theatre powerhouses in Hong Kong and Japan. 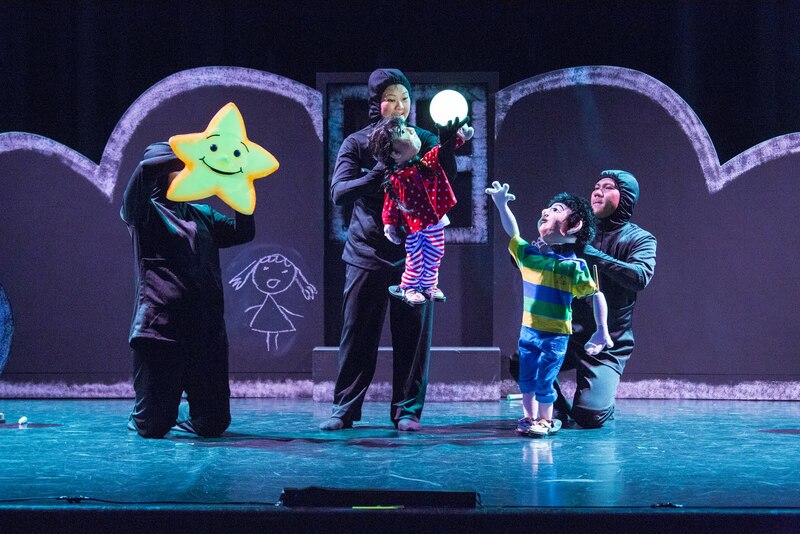 But Little Star represents a first locally for I Theatre in its outreach efforts to younger theatre audiences. It also represented an experiment by Artistic Director Brian Seward, who creatively stitched together various theatrical effects in order to appeal to younger children. 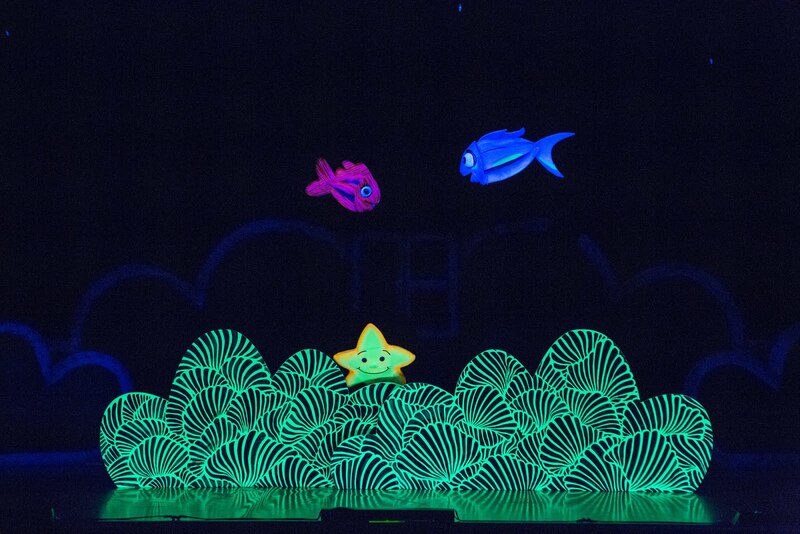 The black light theatre undersea effect was reminiscent of an earlier production this year, The Rainbow Fish, which I Theatre performed to great success by immersing the audience completely in darkness from start to finish. The Little Star production, while adapting some of the elements from The Rainbow Fish, had its own appeal, and the young audience was treated to lovely dances from the fish, as the adventurers scoured the seas in search for the supposed home of the little lost star. Does the Little Star belong in the depths of the ocean? Will it find a home there? 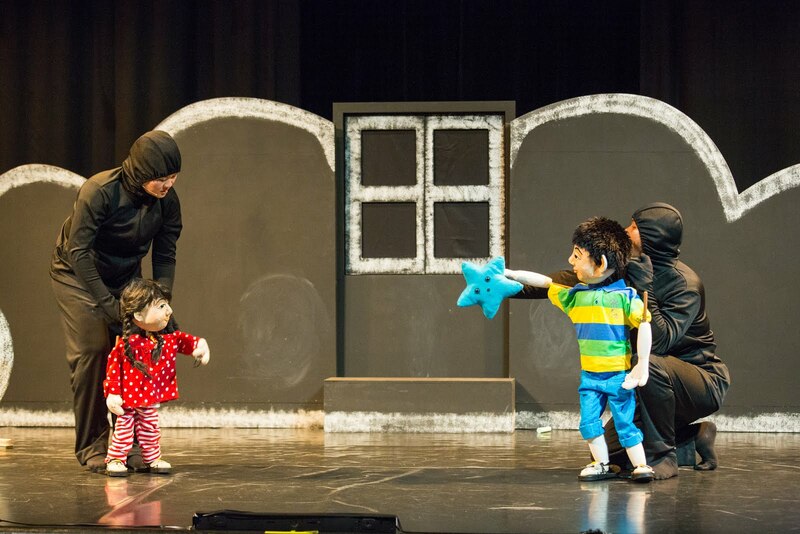 In addition to the visual effects, Little Star also created a whole new world of imagination through the use of puppetry. The three major characters each had a life of his/her own, and the actors did their best to speak through the brightly-coloured puppets. An I Theatre production would not be complete without a good theme. For Little Star, it incorporated familiar concepts of childhood curiosity and individual exploration, as embodied by the human characters Cosmo and Celeste. The brother-sister pair exhibited aspects of sibling rivalry which all young children can identify with. Both children also illustrated an innate desire to explore and to seek out adventure, an occurrence not uncommon with children of that age. I Theatre pieced together these interesting elements seamlessly, and incorporated them into the broader story of the siblings' search for a home for Little Star. He ain't heavy. He's my brother. Children young and old have always looked up into the sky, and marvelled at those tiny twinkly things we call stars. What are they? Where do they come from? Our human minds can only compare them to diamonds in the night sky. But if we stare hard enough into the vast expense above, and search the inner recesses of our hearts, perhaps then we could possibly find an answer to the numerous questions that bombard our minds. What answers lie within us, within the recesses of our heart? Artistic Director Brian Seward and the cast of Little Star.